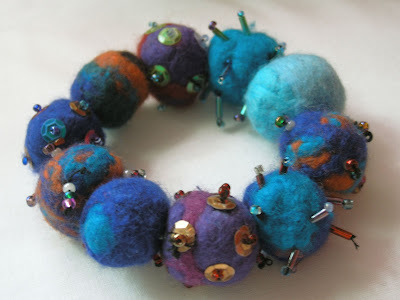 ...Here's a felt ball bracelet, made by my sister Jess, that was so lovely it won a prize (in joke)! She makes these from scratch and they're always totally unique. I was going to photograph a felt ball hairband she made but that would involve taking a photo of my horrible self wearing it.